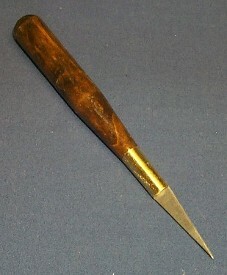 This tool has a heavy, sharp, triangular stainless steel blade. It’s suitable for making holes and starting slots in gourds. The blade is a little heavier than the utility knives and is sharp on both sides.